Between a third and half of the world’s population depend on groundwater for drinking water supply. However, groundwater of high quality is not ubiquitous and groundwater contamination is becoming a critical issue. Particularly, diffuse pollution by nitrate is a cause of groundwater quality degradation in many countries. Such pollution is especially due to agricultural and livestock practices. Moreover, rural and peri-urban settings are increasingly marked by investments in decentralised water services, mainly on-site sanitation systems and reuse of wastewater. Consequently, problems connecting bacteria and viruses are of increasing concern and can cause health problems of differing severity. From the point of view of governments and other agencies responsible for drinking water supply, methodologies to evaluate a degraded resource and how to regain quality are crucial. In rural and peri-urban settings, there is a need to promote changes in agricultural practices to protect aquifers. This may require farmers to adopt new methods and accept different policies. Their willingness may depend on the awareness of the impact of their practices on water quality. Farmer unions often blame poor on-site sanitation or inadequate wastewater treatment for pollution. Clearly, there is need to discriminate between contamination sources. The main aim of this special issue of Environmental Science and Pollution Research (ESPR) is to focus on diffuse contaminants and related impacts from an interdisciplinary point of view, that spans the technical and social sciences. This issue was made only of invited papers after selection by the guest editors. Year 2016 was a major milestone for the International Association of Hydrogeologists (IAH) and its 43rd Congress, celebrating the 60 years of IAH, was hosted in Montpellier, France, in September. Following the successful session on diffuse groundwater contamination at different scales, especially due to on-site sanitation and agriculture, the Special Issue in ESPR represents an original contribution of the IAH by collecting complementary approaches to this increasingly important subject. Particularly, it analysed field-based studies of diffuse pollution in groundwater and surface water, mainly nitrate and pathogens, and suggested different methodologies (modelling, interviews…) to tackle groundwater resources degradation and to increase awareness also for stakeholders and population. Five papers analysed nitrate pollution in groundwater and surface water. Ouedraogo et al. (2017) assessed the validity of an African-scale groundwater pollution model for nitrate and found it difficult to apply at this scale. Mas Pla and Menció (2018) studied effects of global changes such as climate and groundwater nitrate pollution from a water balance-based analysis of several aquifers at regional scale in Spain. Górski et al. (2017) investigated long-term (1958–2016) water nitrate data from Warta River in Poland, analysing the role of improvement in water and sewage management and a more rational use of fertiliser. Ducci et al. (2017) worked on the evaluation of effectiveness of the groundwater monitoring network, the distribution of nitrate in groundwater and the evolution of nitrate trends, using spatial and time series statistical approaches, in a large coastal plain of southern Italy. Lasagna and De Luca (2017) evaluated the nitrate sources and the ongoing geochemical processes in a shallow and deep plain aquifer in northern Italy, using isotopic composition of nitrate and boron. Four papers concerned the impact of on-site sanitation systems on groundwater and how multiple point sources of contaminants may turn into diffuse pollution. Jangam and Pujari (2017) focused on groundwater analysis for physico-chemical and bacteriological parameters with the aim of assessing the contamination due to on-site sanitation systems in India. Geary and Lucas (2018) monitored the subsurface movement of nutrients and faecal contaminants from failing septic tank systems and analysed the contamination of a coastal estuary in Australia used by oyster farming. They highlight difficulties in scaling up from monitored individual systems to identifying their contribution to the cumulative impact at the catchment scale. In the same viewpoint, Nasri and Fouché (2018) monitored the intermittent flux from a sand filter for household wastewater to the vadose zone and integrated solute transfer to the water table, especially nitrate and organic micropollutants such as parabens. Alternatively, Nasri et al. (2017) characterised the compost and leachate composition (phosphorus, nitrogen, pathogenic parameters) and flux from familial waterless litter composting toilets in dispersed rural areas in France and evaluated its threat to the environment. At last, three papers deal with the topic from a health, social or management point of view. Taneja et al. (2017) estimated health risk from nitrate present in the drinking water and vegetables in India and conclude that irrigation of locally grown vegetables should be monitored periodically for nitrogen accumulation by the crop above the acceptable daily intake (ADI) limit. Thoradeniya et al. (2017) investigated the community perspectives on impacts of water quality on agriculture, livelihood and community well-being within rural farming communities in Sri Lanka. The study adopted ‘key informant interviews’ as the methodology to investigate community and other stakeholder perspectives. Finally, Du et al. 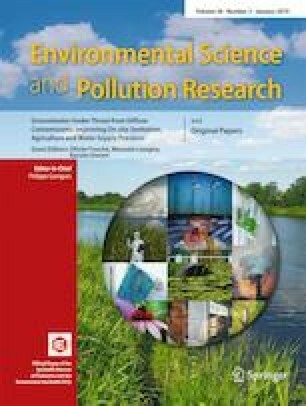 (2018) highlighted the role of integrated hydrodynamic modelling for water supply planning and management of a Mediterranean hydrosystem in southern France, especially with regard to undocumented water abstraction for agriculture use and to hazard of point-source pollution of groundwater resources. We believe that this collection of papers will deepen knowledge about diffuse contamination at different scales due to agriculture, wastewater centralised management and on-site sanitation, highlighting possible approaches to this challenge from a technical and social point of view.